According to GE, and the results from the pilot study, as much as 30 million gallons (almost 114 million litres) of water per day could potentially be saved or recovered if the NTBC technology were to be in place at all the major bottling plants. Worldwide this would add up to nearly 11 billion gallons (almost 42 billion litres) of water per year. 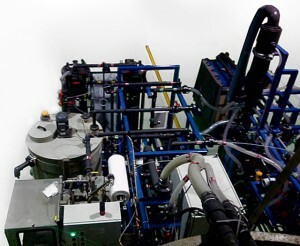 As well as being able to recover the majority of the water in the wastestream, the NTBC system also has a much lower energy requirement than other systems. Implementing this new water technology from GE as the potential to significantly reduce the energy demand and the resulting costs, as well as water expenses. So if not for the great environmental advantages, there is still a huge incentive for businesses to invest in the equipment for it’s great potential at reducing company costs.